I had a very different idea for today’s post until I met with my writer friends to discuss my manuscript. The good news is, the plot is much improved. The other news, I refuse to say bad news, is that there is still work to do, and I’m dedicated to doing it. Never before have I felt so engaged by my work. While I love being a teacher, there are aspects of the job that are annoying. Not so with writing. Working on this book is a little bit like watching a beloved movie over and over again and noticing things I had never seen before. Each time through the manuscript I understand a little bit more about my characters, I see places that need to be consolidated or cut, and I clean up sloppy sentence structure. Each improvement feels good. At first when my friends gave me suggestion after suggestion, my heart sank a bit. I was hoping the manuscript was closer to being ready for publication. But as I digested their comments and where they want me to go with the book, I began to feel renewed excitement. They think the story is engaging which makes me determined to keep working. That’s not to say that there haven’t been times when I long for the book to be finished. It’s a little bit like being on a teeter totter. Some days I’m up and some days I’m down. But isn’t that what life is all about anyway? Taking the challenges in our stride is what makes life interesting. The other day I was checking into my Facebook feed, I’ve been taking a little break from it of late, and I followed a link to an article about a group of people living on the Greek island of Ikaria who are long lived, and extremely happy. They don’t have lots of possessions, many worries, or health problems. They sleep late, work in their gardens or at their jobs until mid-afternoon, then take a long nap. They eat simple meals and in the evening they socialize with their family and neighbors. As I read the article, I was thinking that’s the life for me! In the next moment I laughed at myself because for the most part, that’s the life I live, only instead of working in the garden, I write. What can be more satisfying than to do what you love. You can have your rush to success. I’ll meander like the river and eventually reach a quiet cove, then be off again on another adventure. P.S. 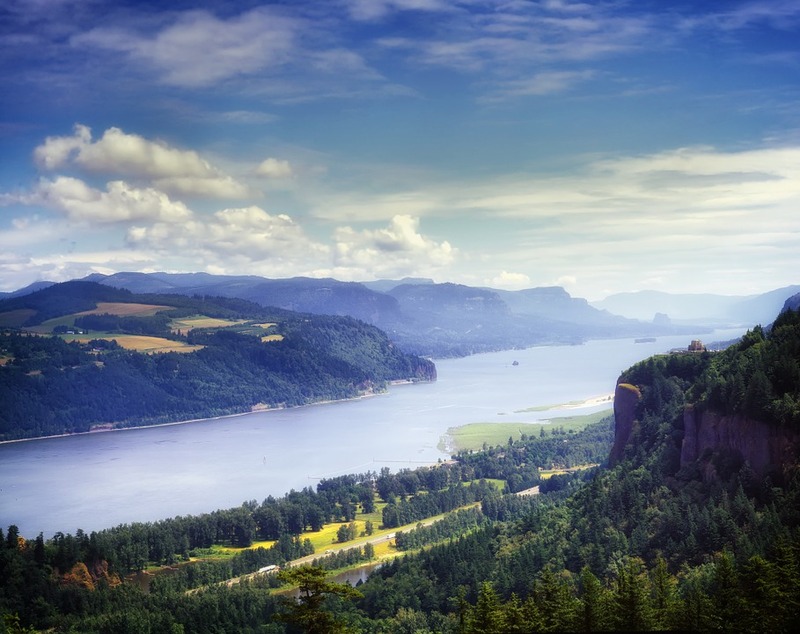 I used to live on the Columbia River Gorge. I miss the reminder to go with the flow. You WILL finish all the rewrites and then it will feel so good! Thanks, Rita. I hope you get to do that too.